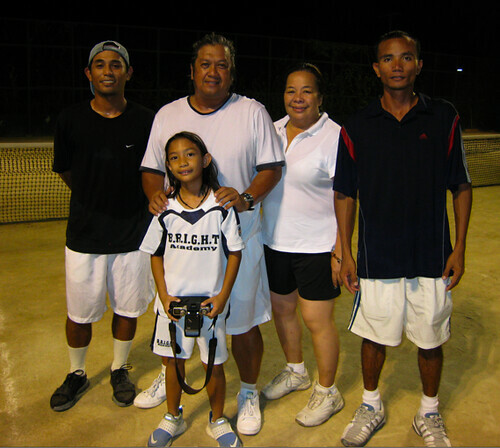 All racquets and yellow balls lead to Casino Espanol de Cebu tomorrow when the biggest clinic in Cebu tennis aces off. Last year at the Cebu Country Club, nearly 200 children and adults joined. This year? Since no charges will be assessed the participants—yes, let me repeat that: This is a free tennis clinic—then I expect just as many, if not more, to swing volleys and smother lobs with smashes. 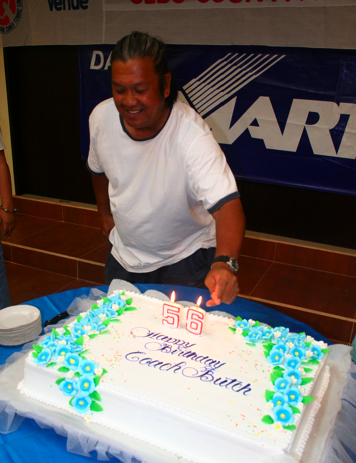 Butch Bacani, as I’ve written on this box last year and last week, is one of the top tennis coaches of our 7,107 islands. He is smart (a U.P. Economics graduate who ventured into the corporate world before he turned full-time into tennis). He is rich in experience (a former Davis Cup captain, he’s trained in America, Australia and many other countries around the globe). He is, best of all, dedicated and passionate. I saw with my own eyes how he spent days and hours and weeks under the scorching, burning summer heat from 8 a.m. to 3 p.m., teaching, imparting the ABCs of Maria Sharapova’s game, motivating little kindergarten students as young as five to grip a racquet and swing the fluffy ball. The Smart/Bacani program starts tomorrow at 7:30 a.m. at the Casino Espanol and will run every Friday, Saturday, Sunday and Monday for the next four weeks. Categories? Available for all levels of players: beginners, intermediate, advanced, adults, teenagers, and young boys and girls. Back to the “Is this really for free?” question, yes it is. Well, just a little request from the sponsor, Smart. If you’re a Smart subscriber, no problem—just show your phone or prove that you’re a subscriber. Another option is to bring a Smart SIM card. It can be your wife’s, your grandfather’s, your neighbor’s. What’s important is you bring a simple proof that, well, you’re smart with Smart. How to register? Call Ms. Ging-Ging Astilla now at 16-1122. Or, if you have time today, visit the Casino Espanol office and fill up the registration form. Or, just show up at Casino tomorrow, then register…. Then play. Its a nice thing what Smart is doing. My cousin Zach is actually joining this. I can’t though because it’ll cause me problems when I play table tennis.